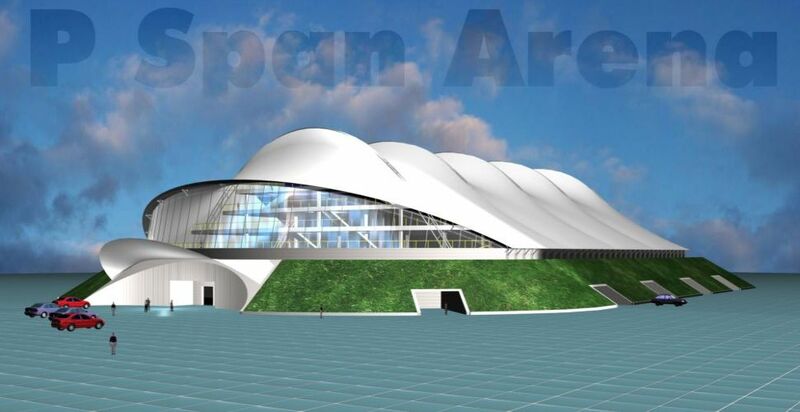 The P Span Arena™ is a futuristic building for multi purpose use that can incorporate a unique package. The building incorporates many existing technologies into a new and unique combination of features. This package is protected by international patent applications. The building can house the same events as traditional arenas while achieving significant cost reductions. The building has a design life of 50 years but a portable version has been considered. The structure is the design copyright of Rudi Enos Design, see www.rudienosdesign.com.